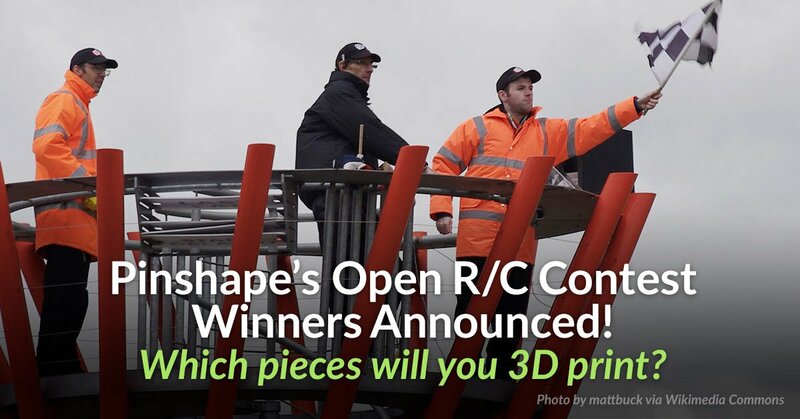 Home » 3D printing » Pinshape’s Open RC accessory contest winners announced! Pinshape’s Open RC accessory contest winners announced! I’m incredibly happy to announce that… I won the open RC accessory contest!! yay!! Many thanks to everyone! Thanks to Daniel Noree for the original design, thanks to Pinshape for the contest, thanks to ZYYX for the awesome prize and thanks to the judges for choosing my design over all of the awesome projects. I’ll post some details about the ZYYX+ printer once tested. Check my design on Pinshape where you can find details on how to print it.